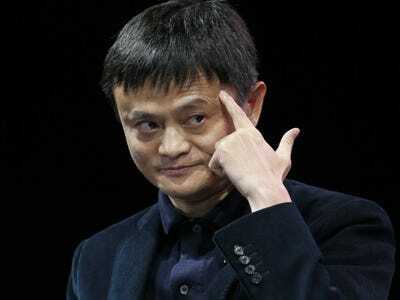 REUTERS/Lucy NicholsonJack Ma, Executive Chairman of Alibaba Group, speaks at the WSJD Live conference in Laguna Beach, California October 27, 2014. After being repeatedly underestimated, people now think Alibaba is capable of doing anything. That’s why Alibaba says the company is in its “most dangerous moment,” according to Bloomberg. Ma was speaking at a conference in China, following the company’s IPO, the largest flotation in history. The massive e-commerce firm is debuting its first bonds today, with a massive issue expected to run to about $US8 billion (£5.1 billion). So far, Alibaba’s performance has managed to buck the trend of China’s economic slowdown and maintain rapid growth.